The Oscar night festivities attended by CMP members in LA this weekend. From the Lagralane-hosted welcome dinner at an exclusive LA restaurant pre-grand opening, to the Independent Spirit Awards, to the unbelievable performance by Elton John with Greta Van Fleet at his private Oscar party, it was truly a one of a kind experience. As the dust settles, we wanted you to know that every one of you was there with us in spirit as we celebrated the exciting Oscar win of Icarus for Best Documentary of 2018. 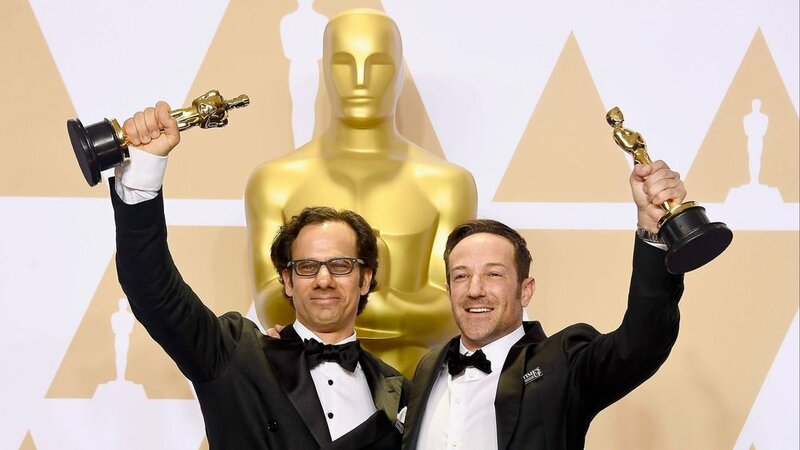 We are thrilled for Dan Cogan and Bryan Fogel, so grateful for our relationship with Impact Partners, and beyond proud that we supported a film that epitomizes what CMP is all about: supporting great artists telling impactful stories that have the power to influence the social and political landscape and ignite change. While the Oscar win is incredibly exciting for the movie, for CMP, and for the careers of Dan and Bryan, the continuing visibility the Oscar win gives to the plight of Grigory Redchnkov is an equally important by-product. The threat to Grigory’s life is real, particularly in the wake of news stories about an ex-Russian spy and his potential poisoning in England today. In alignment with our mission to use media as a galvanizing force, we are continuing our fundraising for Grigory’s legal defense fund. Thanks to our partnership with Public Good, you can now donate to the cause. Look for the link at the top of our homepage, and feel free to forward to anyone you feel would be so moved.